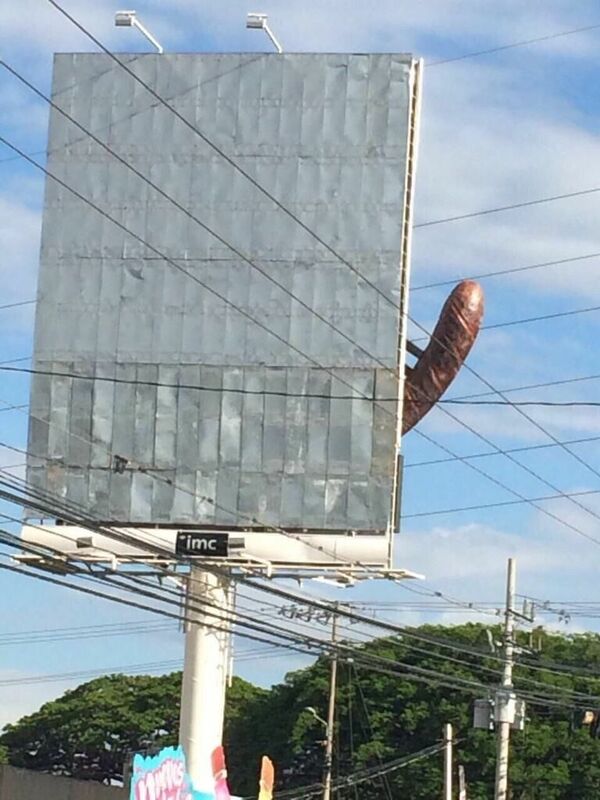 Normal Billboard Ad? Or Whopping Great Willy? Reddit strikes again with one user noticing the odd look of this billboard as he was driving down a highway. Driving towards it, you’d easily understand it was a sausage on a pitch fork, but if you were driving the opposite direction it may cause you to do a double take. 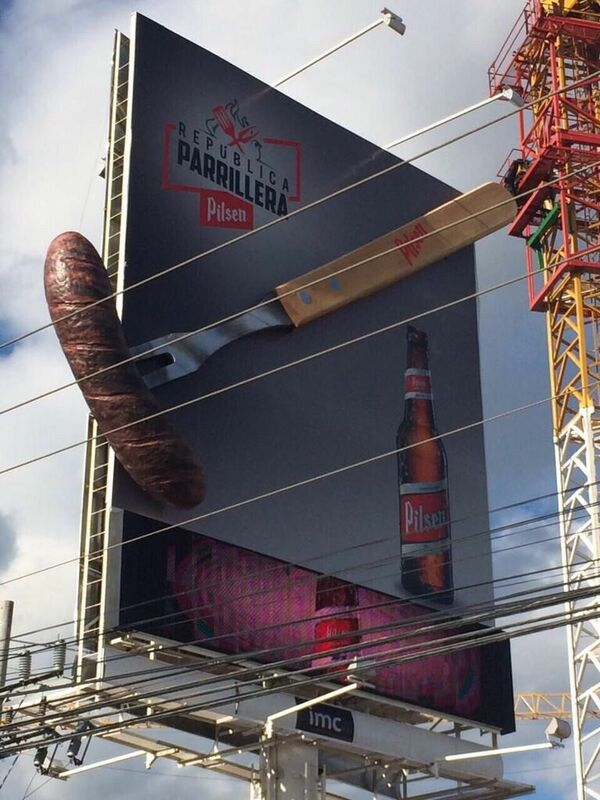 Per Fast Co Create, the ad is reportedly in Costa Rica, for Costa Rican Republica Parrillera Pilsen.